On November 7th 2018 NCDC/TURBO hosted a reception and community engagement session at Diskin Cidery with residents of Wedgewood-Houston, to solicit suggestions for public space improvement projects in the neighborhood. Residents talked with NCDC staff during an open-house style session, which included opportunities to record project ideas on a neighborhood map and category list. Neighbors’ feedback generally centered around enhancing neighborhood accessibility and safety, while improving entrances into the neighborhood through placemaking projects. Other suggestions included more access to existing and future greenspace, installing B-Cycle stations and bike infrastructure, activating Wedgewood Houston’s numerous alleys, and creating parklets throughout the neighborhood. TURBO will continue working with neighborhood leaders and interested neighbors to prioritize the project list, and begin identify funding to support the installation of demonstration projects. 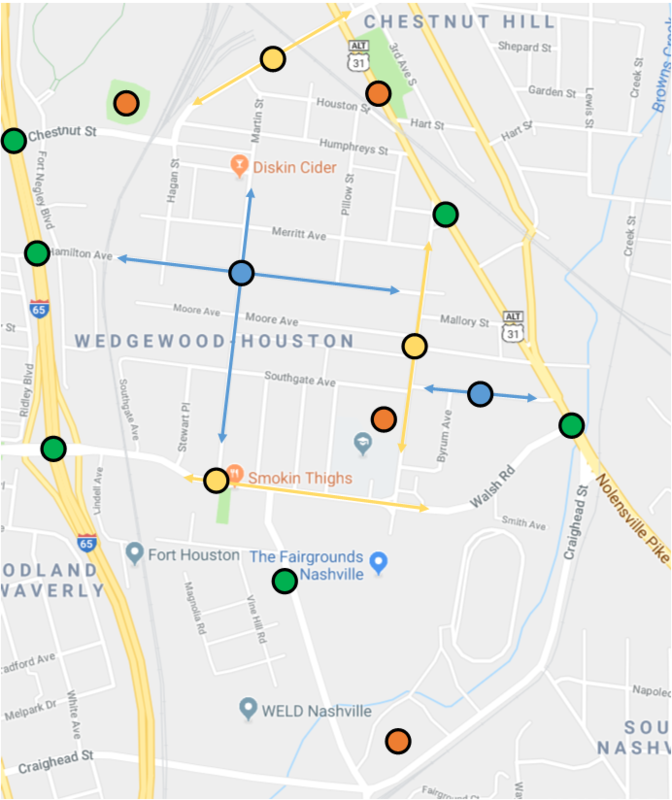 Through this process, TURBO hopes to build momentum for larger and more permanent improvements to the neighborhood that enhance Wedgewood-Houston’s Safety and Mobility, while showcasing the neighborhood’s vibrant Creativity. TURBO is preparing for a demonstration pop-up crosswalk and mural at Diskin Cidery, in support of NCDC's 2018 Annual Luncheon Reception. The reception will be centered around tactical urbanism and include a brief presentation from Luncheon keynote speaker Mike Lydon, an internationally recognized planner, writer, speaker, and advocate for livable cities. NCDC will install the project prior to the start of the event with assistance from neighborhood volunteers as needed. 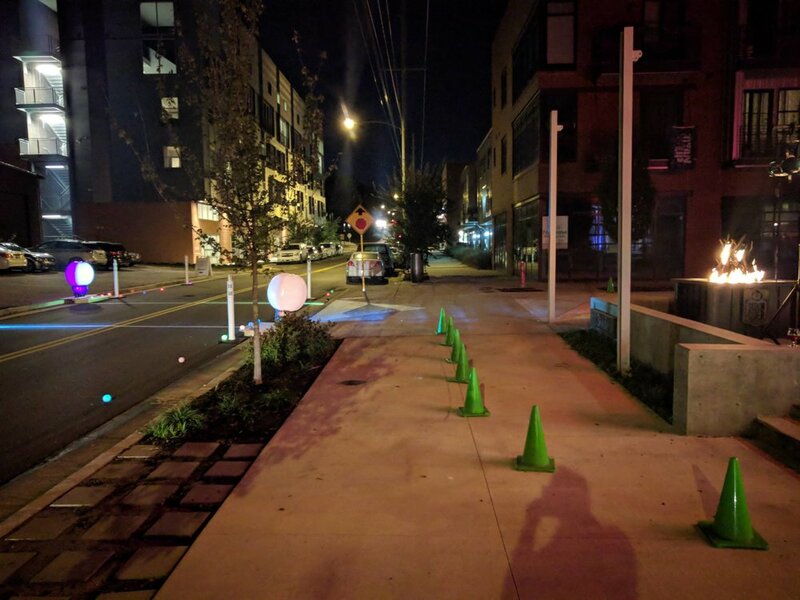 The crosswalk will include artistic components, including two large “ light bulbs” to illuminate the crosswalk, and draw attention from passing cars to promote safer speeds. TURBO's crosswalk will feature brand-new modular curb extensions, with large artistic "lightbulbs" and projected lights to enhance the safety and visibility of the crosswalk. 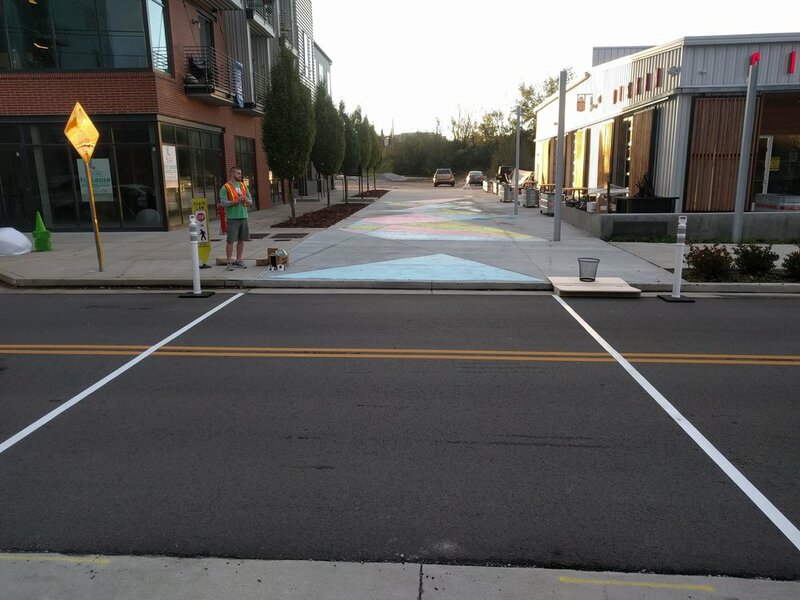 Leading into the crosswalk will be an abstract mural on the plaza space next to Diskin. Using cornstarch, water, and food coloring, TURBO volunteers will be installing the mural to add an artistic flair to the reception guests' experience while showing the power that mural's can have towards creative placemaking.